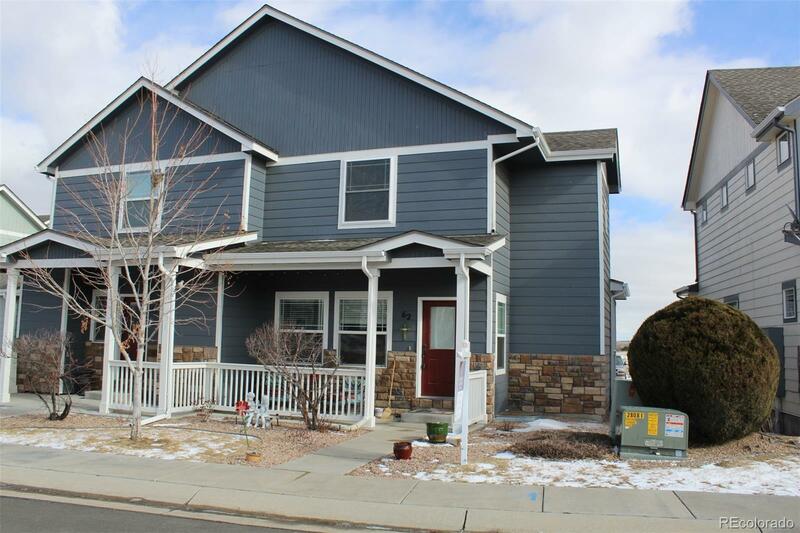 Nicely maintained townhome style condo in Bromley Park with 3 bedrooms and 2 1/2 baths. Good sized living room. The master bedroom features a private full bath. The secondary bedrooms share a full Jack-n-Jill bath! The kitchen has a nice center island that over looks the large living room and eating space! Convenient powder bath on the main floor! Loft area with laundry! Relax on the covered front porch or deck off the dining area! Basement is unfinished for room to expand with rough-in plumbing for another bathroom! New exterior paint and roof in 2018! Two-car attached garage with storage room.